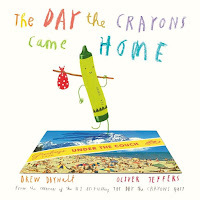 Drew Daywalt seems to be making a name for himself by telling the stories of anthropomorphized everyday objects. 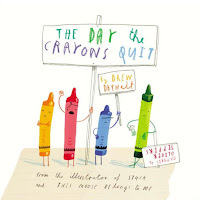 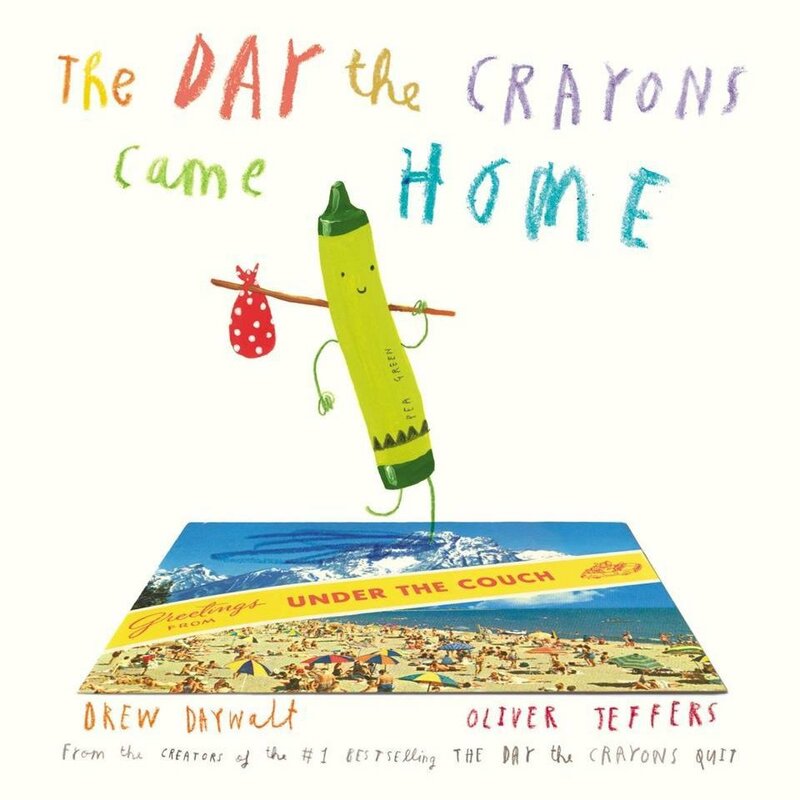 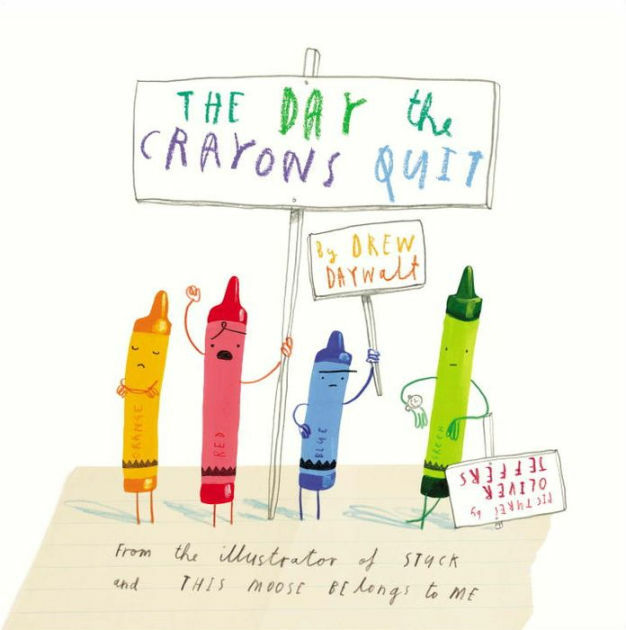 His first two books, illustrated by the wonderful Oliver Jeffers, The Day the Crayons Quit and The Day the Crayons Came Home are laugh filled, epistolary stories of disgruntled crayons looking for respect and adventure. 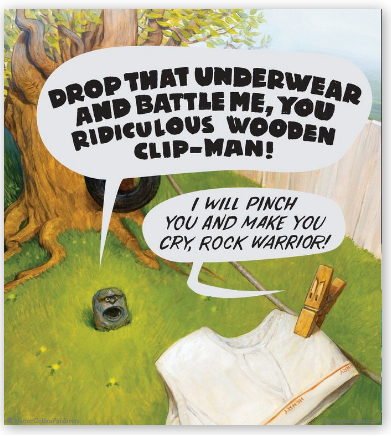 Daywalt begins his story, "Long ago, in an ancient and distant realm called the Kingdom of Backyard, there lived a warrior named Rock." 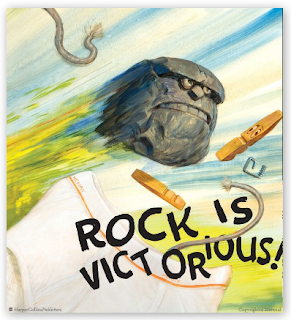 Rock, the strongest warrior in the land, is sad because he cannot find a worthy challenger to prove his strength. 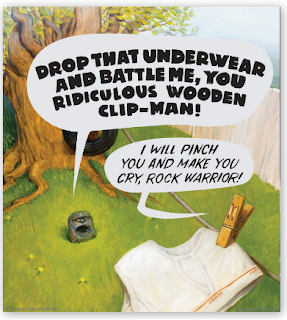 Clothespin is no match. Rock journeys to the "mystical Tower of Grandma's Favorite Apricot Tree" where he trades barbs with an aggressive apricot. 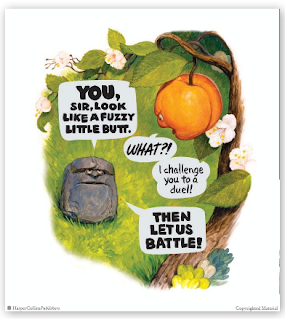 You can imagine how the battle ends. Meanwhile, in the "Empire of Mom's Home Office," and in the "Kitchen Realm," Paper and Scissors (who is a she), respectively, are seeking their own worthy challengers after defeating a series of odd and unworthy opponents and finding no joy every time. 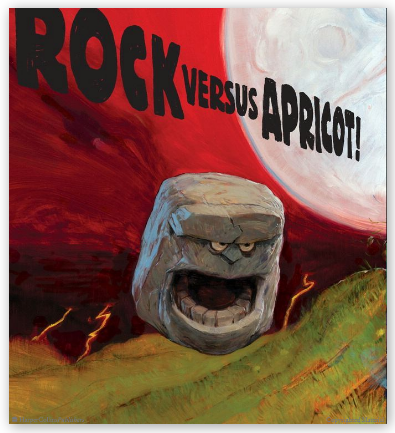 Eventually, the three face off in the "Great Cavern of the Two-Car Garage" where they cheerfully discover they can battle each other endlessly. 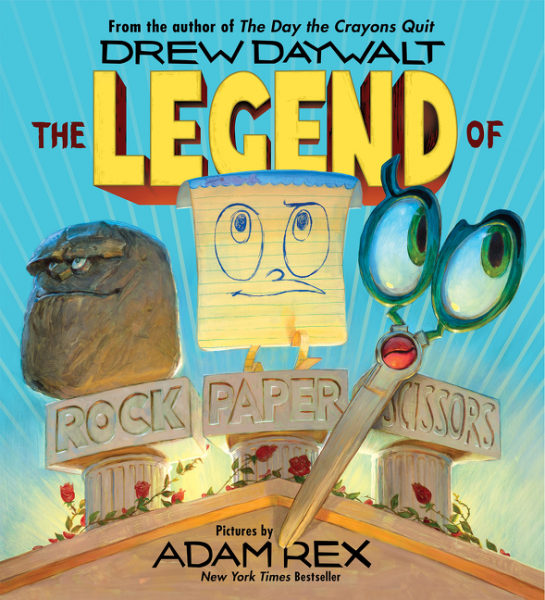 Daywalt's drama and weird, witty asides are funny, but it's Rex's illustrations that make The Legend of Rock Paper Scissors memorable. 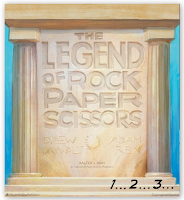 The challenge of bringing a rock, scissors and a piece of paper to life on the page and making these battling inanimate objects personable is met and exceeded by Rex. And, weird as the whole story is (Scissors faces her toughest challenge from dinosaur shaped chicken nuggets, which Rex illustrates magnificently) it is one that kids totally relate to and wholeheartedly engage in. 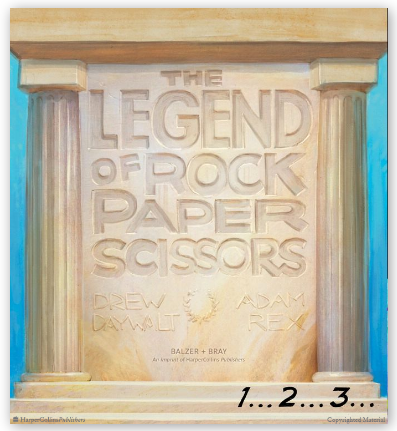 The Legend of Rock, Paper, Scissors is a book that needs to be in every school!